Today, the Event Horizon Telescope team announced that they have “imaged” a black hole for the first time ever. The black hole lies 55 million light-years away at the centre of the massive galaxy Messier 87. Such an incredible feat has taken decades of collaboration between people and telescopes around the world — requiring patience, persistence and perseverance. And the story doesn’t end here. Rubén Herrero-Illana and Hugo Messias, two ESO/ALMA fellows, tell us about how they were involved at the front line of this endeavour, and about the enormous efforts involved in such an astonishing achievement. Q. Firstly, could you tell us a bit more about the Event Horizon Telescope? 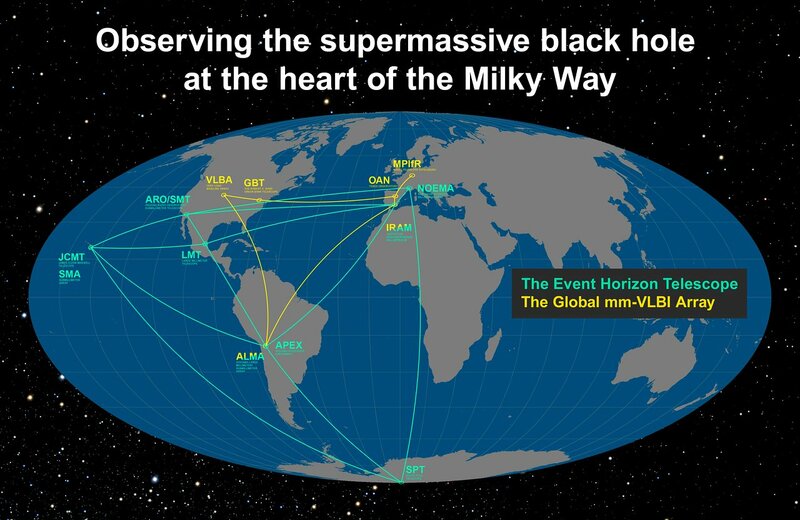 Rubén Herrero-Illana (RHI): The Event Horizon Telescope — or EHT — is an experiment that uses eight telescopes around the world to observe some of the closest supermassive black holes with an unprecedented resolution. The scientific goal of the EHT is to find out what happens in the extreme environments around supermassive black holes, which are some of the most intriguing objects in the Universe. The EHT uses a technique called very long baseline interferometry (VLBI), in which we make several radio telescopes, separated by thousands of kilometres, observe the same object in the sky simultaneously. By combining the signals from each telescope in a particular way, we are able to mimic a telescope as large as the Earth. To explain just how amazing this is — the resolution that we obtain this way would allow us to stand in Chile and see through the eye of a needle in Spain! The participating stations in the EHT include ESO’s APEX telescope and ALMA, which ESO is a partner in. Q. What were your roles in the project? RHI: For the last two years, we have been involved in the preparation and execution of the observations at ALMA. This involves actually observing on site using the telescope. We have also been part of the group that calibrates the ALMA data and checks their quality before sending them to the correlators, which are the supercomputers th combine the signals from every station. Q. What do you mean by ‘calibrating’ the data? 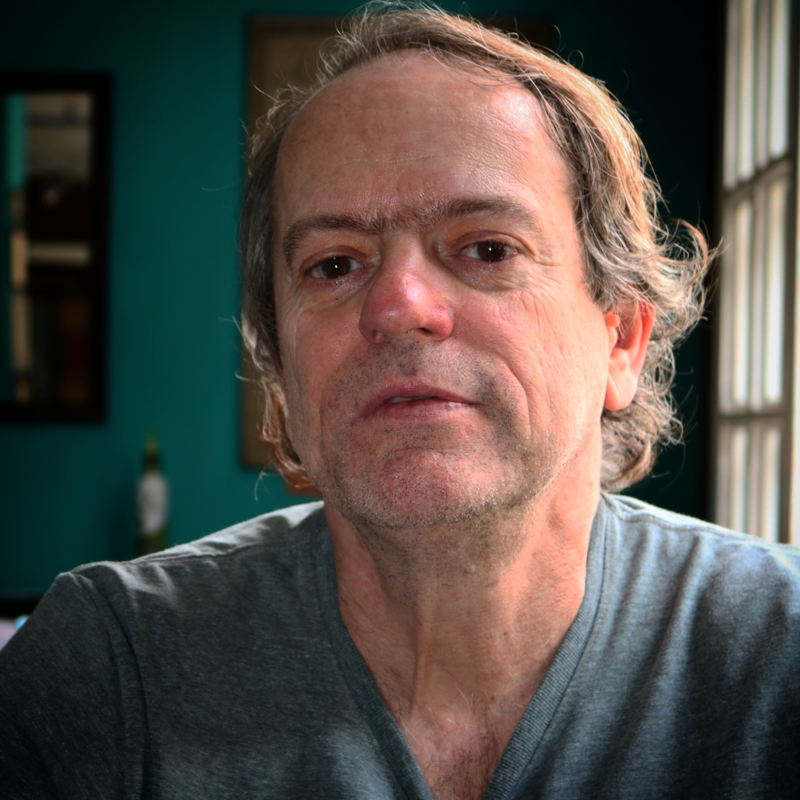 Hugo Messias (HM): We correct the raw data from the telescope for any system imperfection or inhomogeneous behavior. There are many things to correct for: for example, light is distorted and partially absorbed as it travels through Earth’s turbulent atmosphere, making the image blurrier and fainter. And even though the telescope system is state-of-the-art, it may introduce other imperfections in the light we receive from the Universe. We need to correct for all of these things to ensure that we have great data! Q. So has it been difficult to schedule observations of the black hole at the centre of Messier 87? RHI: Yes! 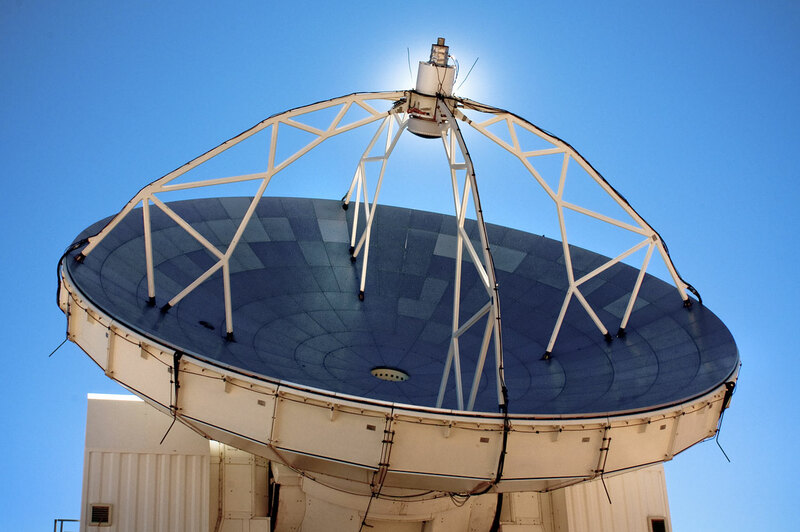 The individual telescopes that make up the EHT are not fully dedicated to the EHT project; they are cutting-edge telescopes that astronomers use all year long to observe a variety of different objects. Once per year, all these telescopes agree to create a gap in their schedules to observe together as part of the EHT. But the observing time is very limited. During observing campaigns, we must decide every day if an observation is going to be triggered or if we are going to wait until the next day. If we decide to wait, all stations will continue their usual observations, but if we get the green light, everyone will observe the agreed black hole targets and a part of the valuable time set aside for the EHT is consumed. This decision is mainly based on the weather forecast, and it is a tough one. After all, it is not that common to have good weather in so many places in both hemispheres at the same time! Furthermore, there are some small details that make things even more interesting. For instance, communication with the South Pole Telescope in the middle of Antarctica is not steady, but restricted to the limited windows when telecommunication satellites pass above the telescope. Last minute decisions are not always an option. HM: During the observations, a plan is sketched and distributed among all observing facilities. This schedule has to be followed to very precise timings, so we know that all telescopes are pointing at the same source at the same time. 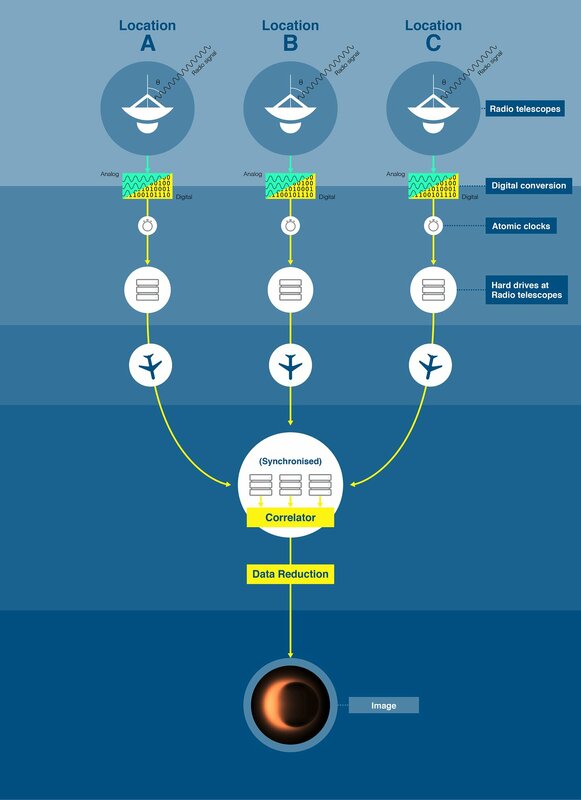 When finished, the data obtained are sent to the data-combining correlators. The challenge is that some of the stations might have been shut due to poor weather conditions, or that the data take months to arrive. An extreme example of the latter is that data from the South Pole Telescope arrive at the correlators only 6–8 months after observation! Q. Thirteen partner organisations and more than 200 people are involved in this project. Why does it require such a huge international effort? HM: Imaging a black hole is incredibly difficult. Even though the black hole at the centre of Messier 87 is 6.5 billion times the mass of the Sun, it is very dense, and therefore relatively small. And it is 55 million light-years away, so from Earth it looks tiny! We have been trying to image the event horizon — the ‘point of no return’ around a black hole, beyond which light can’t escape. But to discern something so small, we need a huge telescope. And as we are measuring light that has wavelengths on the order of millimetres, we need a telescope the size of the Earth! This is physically impossible, so we used interferometry — which is the same technique that ALMA uses on a smaller scale — to connect telescopes around the globe to mimic an Earth-sized telescope. And that takes a huge international effort. Q. How are the telescopes synchronised? RHI: When using the technique of interferometry, it is essential to combine the signals from each telescope at the exact same time. One way to ensure the synchronisation is to connect every station with a fibre-optic link to a central supercomputer. But considering the remote locations of the EHT telescopes, this would clearly not have been an option! Instead, each telescope was equipped with an ultra-precise hydrogen maser atomic clock that precisely timed each observation. This made it possible to combine data later on. Q. Was it difficult to collaborate with other institutions all around the world? RHI: There are always challenges in coordination and communication among the many different people working in an observatory: astronomers, engineers, administrators and computing teams, to name just a few. Everyone must work together towards the same goal. ALMA is a huge observatory, with hundreds of workers from more than ten different countries, and some of the other observatories involved in the EHT project are almost as big. Now imagine eight of these observatories working together on a time critical, cutting-edge project, and you will get a grasp of how much fun a project like the EHT can be! Q. How does it feel to be part of an international collaboration that has made such an incredible discovery? HM: I feel honoured, proud, fulfilled, and hopeful. The latter is more related to the fact that we are showing that, despite the cultural differences, a team comprising individuals with distinct backgrounds had a common goal, and achieved it. That teaches the world another key lesson, besides the one being reported. Q. Is there anything else you would like to mention? HM: Aside from the people included in the author list of the papers, many other individuals enabled this discovery to happen. We are not only “standing on the shoulders of giants” who carved out the path towards the techniques and technology we currently use, but also on shoulders of hard-working people who build and maintain the antennas, correlators and software at these remote sites. This is what enabled the discovery to happen. To them, I say a big thank you, as well as to the curious society that provided the will and, of course, the funding. These contributions were key to making this feat a reality! See https://sciencesprings.wordpress.com/2019/04/10/from-european-southern-observatory-astronomers-capture-first-image-of-a-black-hole/ for lists with links. Why light pollution makes it difficult for astronomers to observe on location. When people find out that I am a professional astronomer, they tend to imagine that I spend my days (well, my nights) gazing up at the stars, adjusting telescopes and collecting images of the Universe. As my job as a PhD candidate is to study space, this is a reasonable response. So I am usually met with surprise when I tell people that in fact most astronomers spend very little of their time observing, and that I have never collected data for professional use, on location, myself. Why? The main justification for my lack of interaction with telescopes is the extraordinary amount of time, money and resources it takes to physically reach them. The inconvenient placement of modern telescopes is no accident. It is entirely deliberate, and serves the purpose of getting the telescopes as far away from human habitation as possible. ESO’s telescopes are located deep in the Chilean Atacama desert, with Paranal Observatory [below] (the home of the Very Large Telescope) located 130 km from the nearest city of Antofagasta. This is because where human beings are, light pollution follows. It’s strange to think of light as a pollutant. Our days are naturally filled with it, and our nights are made infinitely easier by its presence. Nonetheless, the relatively unchecked growth of humanity’s dwellings, infrastructure and technology has resulted in our night skies being flooded with excess light, both within and outside the visible range that human eyes are sensitive to. It is difficult for someone who was raised in a town or city to appreciate the impact of light pollution on our skies. It was not until a few years ago that I realised that, from the lonely isolation of the Chilean desert, the sky appears to be literally ripped apart by the spillage of the billions of stars that comprise our Milky Way. So what is the difference between light, and light pollution? An apt analogy is any other kind of waste product or pollutant. For example: a disposable coffee cup. The cup is only intended to hold coffee, not to be scattered on streets and contribute to landfills. But because we did not care to invent anything better, or reduce our intake of coffee, the disposable cups pile up and up until they start to affect our environment. The same is true for light pollution. Devices intended to light our homes, offices and streets spill surplus light, as waste, in unnecessary directions. This light scatters off the molecules and particles in our atmosphere, and infuses the night sky with a strange, dull glow. It is not intentional, but through poor design, excess use of artificial light and a general lack of care, humans have completely changed the night sky environment. This glowing means that the stars and planets in the night sky are no longer the sole source of photons (light particles). The excess light falls into telescopes and onto our eyes indiscriminately, greatly or entirely blocking out the visually stunning, and far more interesting light sources. But whilst this pollution is infuriating for astronomers, who have to resort to locating telescopes deep in the desert; high up mountains; or at the very poles of the Earth, is it anything more than an inconvenience for a handful of people? Sadly, yes. The impact of light pollution extends far beyond the loss of a readily available beautiful sky. The rhythm that our bodies naturally go through everyday is profoundly confused by artificial light at times we would naturally be sleeping. Light pollution has been correlated with insomnia, increased stress and issues regulating hormones. The effects extend far beyond the human race. The vast majority of evolutionary history has taken place without the influence of artificial light. Light pollution extending beyond the range that humans can see impacts insects, birds and animals, disorientating them and affecting entire ecosystems. If a dark night sky is of such importance, not just for the well-being and pleasure of humans, but of entire species of other living creatures, then what is being done to preserve them? Fortunately many organisations exist to combat the spread of light pollution. It is of course in ESO’s keenest interest to preserve our dark skies, and it works in collaboration with many of these initiatives. Certain areas of the world are already protected dark sky sanctuaries, including a small part of the Atacama Desert. People who want to make a difference on a more personal or local level have plenty of possibilities; to begin with, minimising light at night as much as possible. When unavoidable, it can be kept muted, and shaded from the sky with curtains or by capping the tops of lamps. In addition, as we see from the blue colour of the sky during the day, our atmosphere optimally scatters blue light. Whilst this is idyllic during our waking hours, at night, keep artificial lighting as reddish or yellowish as possible, to minimise scatter. If local government and individuals all start to implement these small changes, it would help everyone to admire the beauty of the night sky. In the meantime, from the perspective of astronomers, the long journey into the Atacama Desert is well worth it, giving us the opportunity to experience the extraordinary luxury of a sky relatively unaffected by mankind. Not only does it make truly stunning astrophotography possible, but it allows astronomers who observe using ESO telescope the chance to collect some of the most pristine data on Earth. Eleanor Spring is a former ESO science communication intern, who has continued her relationship with ESO as a freelancer, working as the Public Information Officer in charge of the ESO Pictures of the Week. 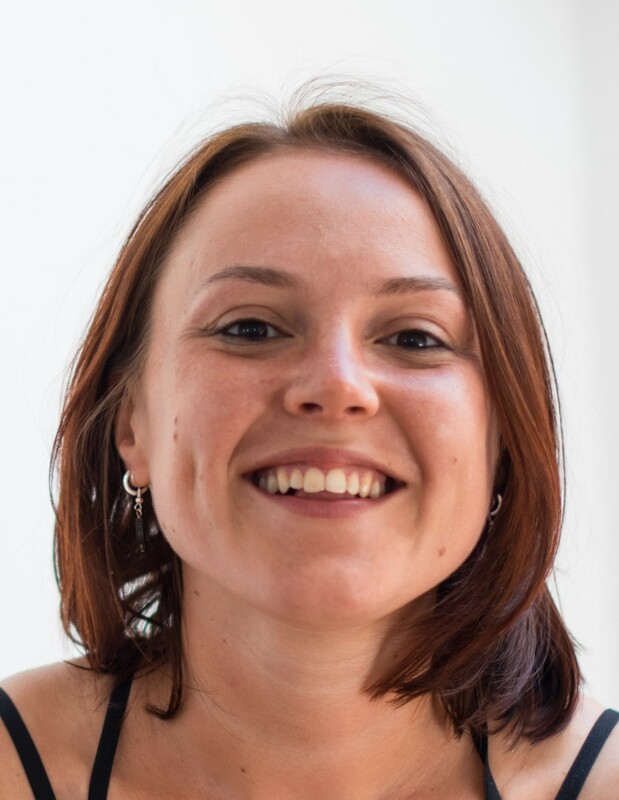 She is currently living in Amsterdam and working on a PhD, developing techniques to characterise exoplanets, which provides the exciting opportunity to see another side of ESO — the use of data collected at their telescopes! 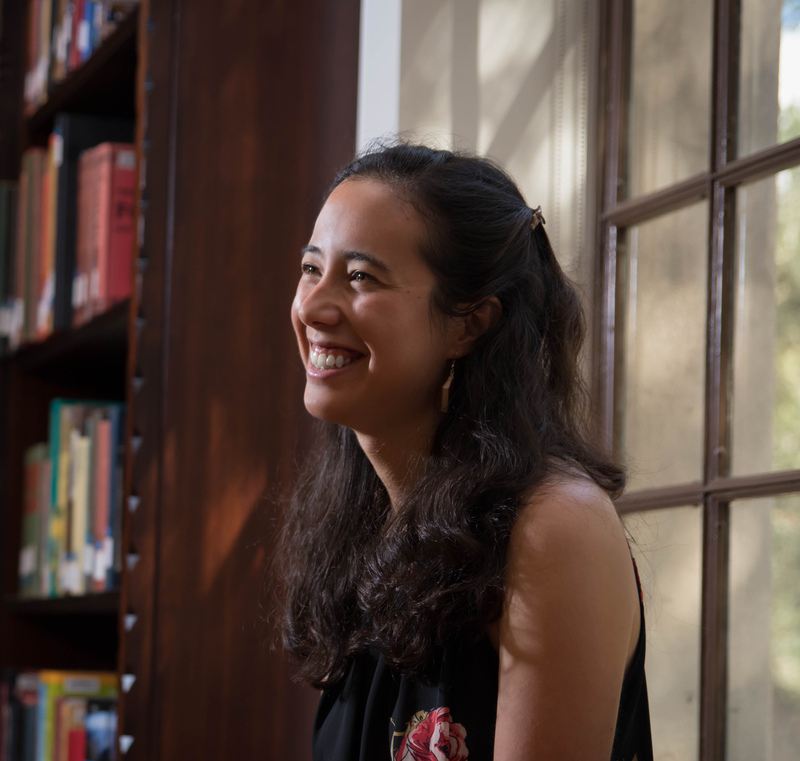 She has also found other outlets for her love of communication: teaching yoga and (attempting) to learn Dutch and French. Astronomers discover mysterious star displaying never-seen-before behaviour. We made this discovery whilst searching for extreme variable stars in the innermost parts of the Milky Way using ESO’s VISTA survey telescope. This was part of a survey of the Milky Way — named VISTA Variables in Via Lactea, or VVV for short — that we have been working on for many years. 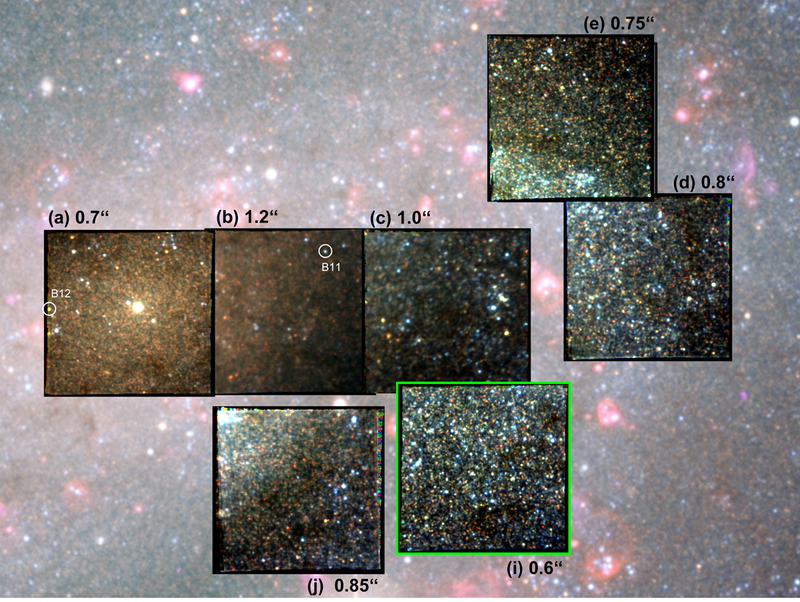 The survey is the first to image the most crowded and obscured regions of our home galaxy with high angular resolution at infrared wavelengths. The high angular resolution helps to separate the billions of stars that are superimposed close together on the sky and observing at infrared wavelengths makes it easier to see through the dust that — just like fog hides magnificent views on Earth — blocks our view of the most interesting parts of the Milky Way. 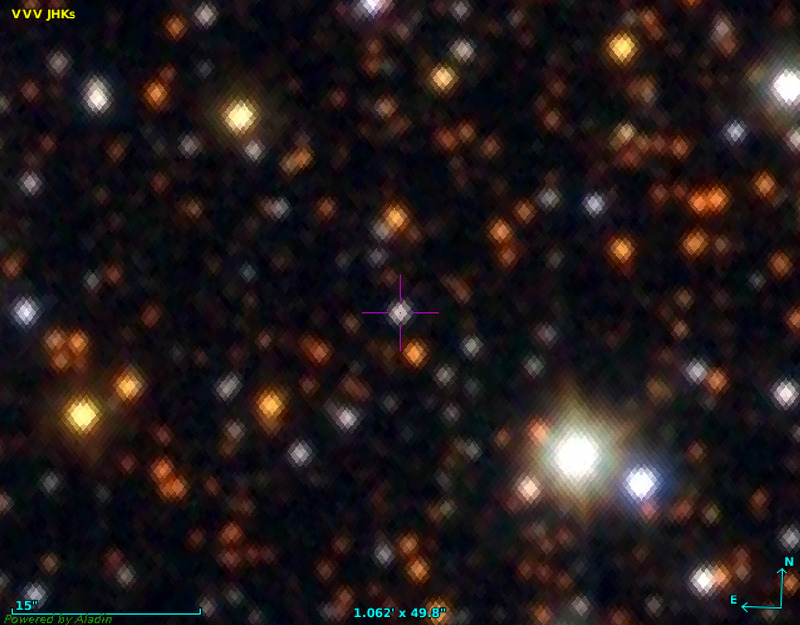 VVV-WIT-07 in the centre of a star field. Credit: Saito et al. Lightcurve of VVV-WIT-07 showing how it varied in brightness between 2010 and 2018. The insert shows an expanded view of the particularly dramatic dimming event that occurred in July 2012. Credit: Saito et al. Searching for hints of life around the Sun’s galactic twins. 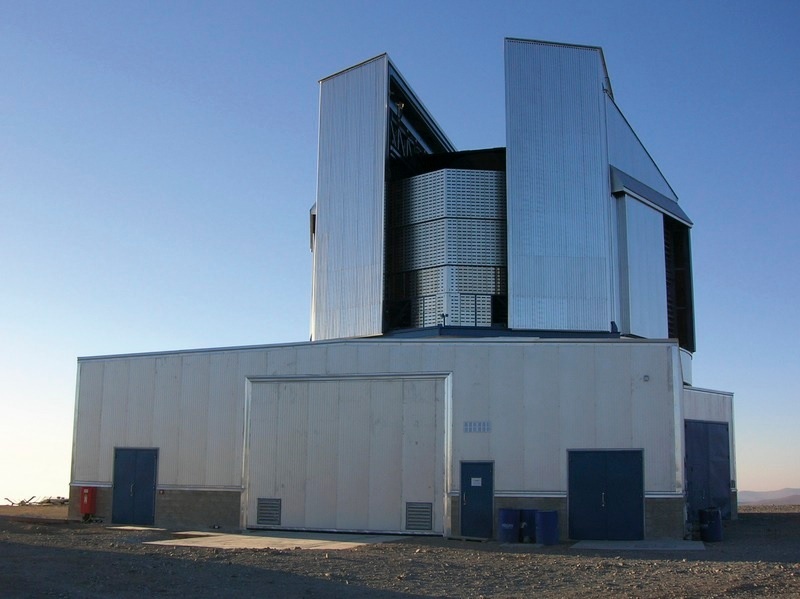 Using the HARPS instrument on the ESO 3.6-metre telescope, a team of scientists recently carried out the largest ever search for thorium in stars that are almost identical to the Sun: solar twins. The presence of thorium is an indicator that any rocky planets around these stars may host plate tectonics, which can trigger and support life. We speak to two of the scientists involved in this search to find out whether these results have strengthened the claim for the existence of life elsewhere in the Milky Way. Using the HARPS instrument on the ESO 3.6-metre telescope, a team of scientists recently carried out the largest ever search for thorium in stars that are almost identical to the Sun: solar twins. The presence of thorium is an indicator that any rocky planets around these stars may host plate tectonics, which can trigger and support life. We speak to two of the scientists involved in this search, André de Castro Milone and Jorge Luis Melendez Moreno, to find out whether these results have strengthened the claim for the existence of life elsewhere in the Milky Way. Q. Firstly, what is a solar twin and why are they so interesting to study? Andre de Castro Milone (AM): Solar twins are stars that are very similar to the Sun, for example in temperature, luminosity and chemical make-up. It is likely that the birth and evolution of these stars were also similar to the Sun’s birth and evolution, implying that planets may have formed around them in a similar way to how the planets formed in our own Solar System. This means that solar twins could be great places to start our search for life elsewhere in the Universe. Q. In this study you looked at the amount of thorium in 53 solar twins. Why thorium? AM: We looked at one specific type of radioactive thorium (Th-232). On Earth, the decay of such radioactive elements creates a heat flow in the convective mantle under the surface, which causes the tectonic plates on the surface to move. This makes Earth a geologically dynamic planet with earthquakes and volcanoes that contribute to the carbon cycle that regulates the temperature of the atmosphere. 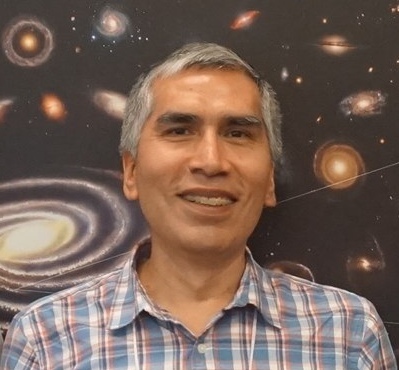 Jorge Luis Melendez Moreno (JM): As a stable atmosphere is closely related to the emergence and evolution of life, this means that the initial amounts of certain radioactive elements in a rocky planet contribute significantly to a planet’s ability to host life. Thorium is one of these elements that can be instrumental to the presence of life. It decays very slowly, meaning that it creates a gentle heat flow for a very long time, giving life a chance to thrive. Q. So why were you looking for thorium in the stars rather than in the planets themselves? JM: Because planets are so small and dim, it is extremely difficult to see thorium in them using current telescopes. It is much easier to find out how much thorium there is in their parent star. We used this information to figure out how much there was at the beginning of each star’s life. Planets form from a disc of gas and dust left over from the star’s formation, so knowing how much thorium there was in the star at the time of planet formation, we can estimate how much thorium went into a planet. Q. How exactly did you measure the amount of thorium in the stars? AM: We used the HARPS instrument on the ESO 3.6-metre telescope to capture very high-quality optical spectra from each star. Solar twins look white-ish from here on Earth, but HARPS can spread out the light into a spectrum to allow us to see that they actually emit light of a whole range of colours, or wavelengths. 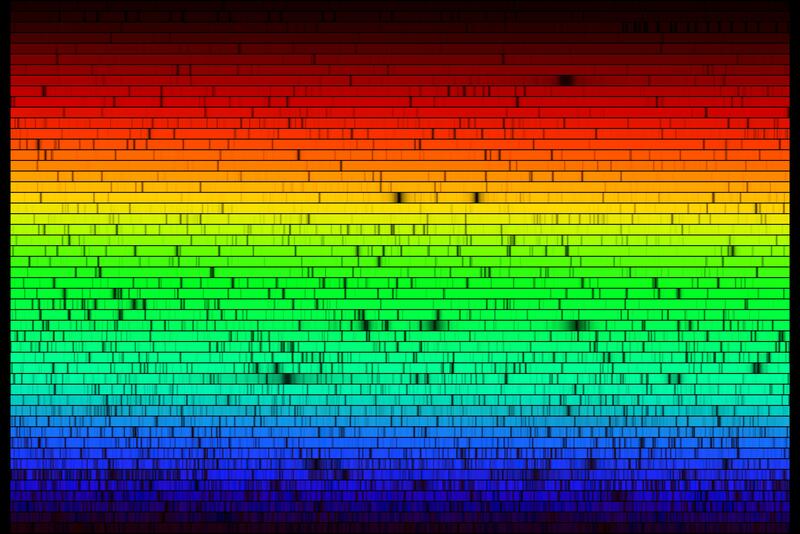 Each element in a star absorbs light at specific wavelengths, so spectra can be used to find out what elements are present. Using the spectra, we could make an estimation of how much thorium is currently in each star and knowing the rate of radioactive decay, we could estimate how much thorium was in each star when it formed. Q. And were you surprised by the amount of thorium you found in each star? JM: We didn’t really have an expectation about how much thorium might exist in solar twins, because a large study like this one had never been carried out before. So it would be more appropriate to say we were “excited” by what we found, rather than “surprised”. AM: It’s helpful to use the Sun as a comparison here, which is made up of mostly hydrogen atoms. In the Sun, there is just one thorium atom for every one trillion hydrogen atoms — that’s one with twelve zeros after it! We found that the amount of thorium varied in solar twins, but that it is 0.76–1.81 times as high as it is in the Sun, so about 1–2 thorium atoms for every trillion hydrogen atoms. 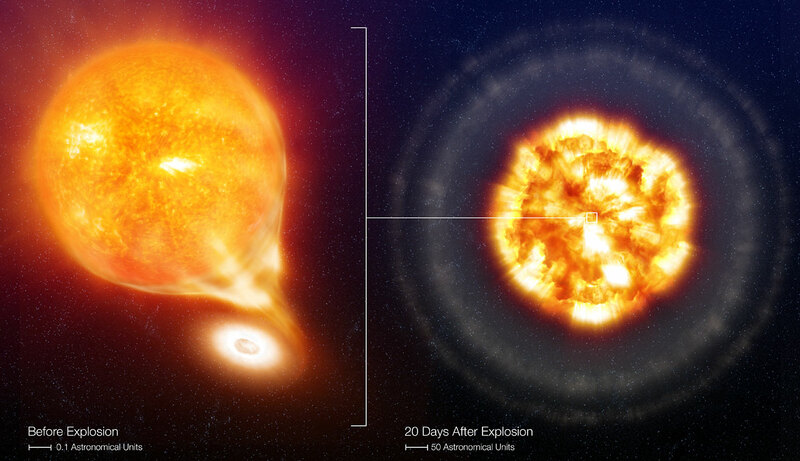 Interestingly, we calculated that the thorium in the solar twins when they formed would have been about 1.09–1.37 times the initial thorium content of the Sun. This suggests that there could be plenty of thorium in any surrounding rocky planets, so they could be even more geologically active than Earth! This strengthens the argument that life could exist elsewhere in the Milky Way. JM: Possibly the most exciting thing is that we found thorium in stars with a variety of ages, meaning that life might be spread around not only in space, but also in time. There might be some really young life or some ancient life out there in the galaxy! The spectrum of the Sun, with light spread out into separate wavelengths. Black lines show where light is absorbed by specific elements. One of the lines in the blue-violet region corresponds to the thorium that was studied in this investigation. Q. Planets with atmospheres have already been discovered using other techniques. Why is this particular technique useful? JM: Indeed, lots of planets with atmospheres have been detected, but we still don’t know of any Earth-like planets around solar twins because other techniques are currently not able to detect them. Future telescopes such as the Extremely Large Telescope (ELT) will be capable of searching for signs of life on Earth-like planets around some stars, but unfortunately not Sun-like stars because it would take about a century to look at their atmospheres in sufficient detail. AM: Atmospheres are also not sufficient for life. Take Mars, for example. It has an atmosphere (which is thin due to its low surface gravity and lack of magnetic field) but no sign of current geological activity. Venus, on the other hand, shows signs of geological activity, but the atmosphere is extremely dense, with an out-of-control greenhouse effect. This was caused by an irreversible process — perhaps the evaporation of a huge amount of liquid water — and has led to Venus becoming unsuitable for life as we know it. Both Mars and Venus were of course formed around the same thorium-rich Sun as Earth was. So the existence of thorium on a planet is just one point in favour of the existence of life. Lots of other factors are involved that determine whether or not life is likely. But I believe that if we find enough solar twins, with enough geologically active planets around them, then we are likely to eventually find one that hosts life. Q. So would you like to use the ELT to carry out follow-up research? JM: We’d love to! The next step is to really look for planets around these solar twins. We have been using smaller telescopes such as the ESO 3.6-metre, and more recently have been observing solar twins with the Very Large Telescope. But later on, we would next like to use the ELT and even space telescopes to get a clearer picture of planets around solar twins and potentially find Earth 2.0! Until then, our main focus is on characterising the fundamental properties of solar twins, in particular their chemical composition and magnetic activity cycles, as those are vital steps towards understanding, and even discovering, planets around them. One night in June 2018, telescopes spotted an extremely bright point of light in the sky that had seemingly appeared out of nowhere. 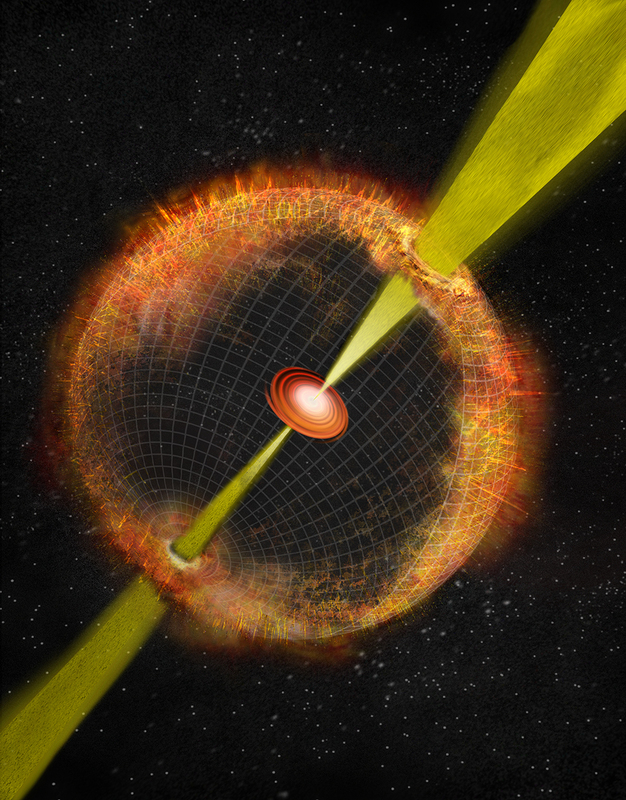 Observations across the electromagnetic spectrum, made using telescopes from around the world, suggest that the light is likely to be the explosive death of a star giving birth to a neutron star or black hole. If so, this would be the first time ever that this has been observed. We find out more from Anna Ho, who led a team that used a variety of telescopes to figure out what exactly this mysterious object — classified as a transient and nicknamed The Cow — is. Q. What is a transient, and why it is interesting to study them? A. The night sky appears calm but it is actually incredibly dynamic, with stars exploding in distant galaxies, visible through our telescopes as flashes of light. The word “transient” refers to a short-lived phenomenon in the night sky, which could be the explosion of a dying star, a tidal disruption event, or a flare from a star in the Milky Way. And there are probably many other types of transients out there that we have not even discovered! Q. So given that transients are sudden phenomena that you can’t predict, how can you possibly plan for studying them? A. It’s kind of a case of reacting to their appearance. In the past few years, we’ve entered this amazing new era of astronomy where telescopes can map out the entire sky every night. By comparing tonight’s map to last night’s map, we can see exactly what has changed over the previous 24 hours. The transients I study are very short-lived explosions — lasting between a few hours and a few months — so when an interesting one happens, we have to drop everything and react. Luckily I love my research enough to do this! It is only by using lots of different telescopes that we can really get a full picture of a transient. 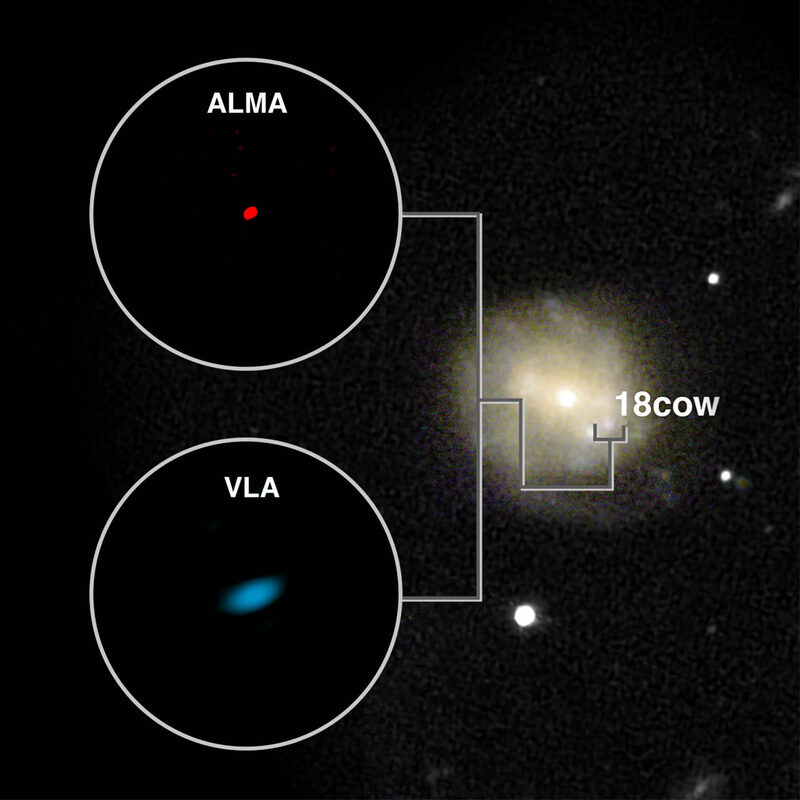 ALMA and Very Large Array (VLA) images of the mysterious transient, The Cow. Q. In June 2018, you observed an unusual transient that was named AT2018cow, or The Cow. Can you describe this phenomenon? What made it so remarkable? A. One night, astronomers saw a point of light in the sky that had not been there before: a new transient! The Cow was particularly special for two reasons: firstly, it was VERY bright, and secondly, it had achieved that brightness VERY quickly. This was exciting, because usually if a transient appears very quickly, it is not so bright, and a very bright transient takes a long time to become bright. So we realised immediately that this was something strange. Q. You chose to study this transient with two millimetre telescopes: the Submillimeter Array (SMA) and ALMA (Atacama Large Millimeter/Submillimeter Array). What do millimetre telescopes offer over other telescopes? A. In the early stages of a transient (in its first few weeks of existence), we can see the shockwave emitted by an explosion by capturing light at millimetre wavelengths — this is exactly what SMA and ALMA can see. In particular, thanks to ALMA we were able to learn that in the case of The Cow, the shockwave was travelling at one-tenth of the speed of light, that it is very energetic, and that it is travelling into a very dense environment. We also used the Australia Telescope Compact Array to look at light from the transient with longer wavelengths. It is only by using lots of different telescopes that we can really get a full picture of a transient. By combining ALMA data with publicly available X-ray data, we were also able to conclude that there must be some ongoing energy production — a kind of continuously-running “engine” at the heart of the explosion. This could be an accreting black hole or a rapidly-spinning neutron star with a strong magnetic field (a magnetar). If The Cow does turn out to have either of these at its centre, it would be very exciting, since it would be the first time that astronomers have witnessed the birth of a central engine. Q. It seems that nobody’s quite sure what The Cow is. Why is there so much uncertainty still surrounding this object? A. It’s because the combination of The Cow’s properties is so unusual. It’s like that parable of the blind man and the elephant — where several blind men each feel a different part of an elephant and come to different conclusions about what it might look like. If you look at the visible light from The Cow, you might conclude that it is a tidal disruption event. On the other hand, if you look at the longer-wavelength light you see the properties of the shockwave and the density of the surrounding matter, and might conclude that it’s a stellar explosion. It’s incredibly difficult to reconcile all of the properties into one big picture. Artist’s impression of a cosmic blast with a “central engine,” such as that suggested for The Cow. At the moment, the central engine is surrounded by dust and gas. Q. How will you find out what The Cow really is? A. Right now, the heart of the explosion is shrouded in gas and dust so it’s difficult to see it. Over the next months, this gas and dust will expand out into space, becoming thinner and more transparent, and allowing us to peer inside. When we are able to see into that central engine, we will be able to learn more about what it there, whether it’s a black hole, a neutron star, or something else entirely. Q. What do you think The Cow is, and why? A. Personally, I think it’s most likely to be a stellar explosion. Our ALMA observations enabled us to measure the surrounding environment to be incredibly dense — 300 000 particles per cubic centimetre! This kind of density is typical of a stellar explosion. Some people suggest it’s a tidal disruption event, but I think this would be difficult to explain. That said, I’m far from an expert on tidal disruption, so I look forward to hearing more from theorists on how to reconcile that model with our observations. Q. So what are the implications of this discovery? What does The Cow teach us about transients? A. From my perspective, The Cow is incredibly exciting for two reasons. One is astrophysical — what it can teach us about the death of stars. We think we’ve witnessed the birth of a central engine, an accreting black hole or a spinning neutron star, for the first time. The second reason is technological — we learned that this is a member of a whole class of explosions that in their youth emitted bright light at millimetre wavelengths. In the past, millimetre observatories like ALMA were rarely used to study cosmic explosions, but this study has opened the curtain on a new class of transients that are prime targets for millimetre observatories. Over the next few years, we hope to discover many more members of this class, and now we know that we should use millimetre telescopes to study them! In 2011, the High-z Supernova Search Team won the Nobel Prize in Physics for the discovery that the expansion of the Universe is accelerating. Bruno Leibundgut, ESO’s Very Large Telescope Programme Scientist, was one of two ESO scientists who contributed to this extraordinary discovery, with the other being Jason Spyromilio. Bruno tells us the story of this game-changing piece of astronomical research in the second post in a two-part series about this prize-winning discovery. At the beginning of the 1990s, the biggest question in astronomy was probably: what is the future of the Universe? Is it going to collapse? Or will it expand forever? Nobody knew. At the time many astronomers were looking at type Ia supernovae, which are the extremely bright explosions that occur when two stars in a binary system merge. This type of supernova always produces a similar amount of light, so we know how far away they are by how bright they look from Earth. And because they are so bright, we can often see supernovae even when they are really distant. This all means that we can use type Ia supernovae to find out about the past and future of the Universe; by comparing the apparent distance predicted by their brightness to their actual distance, it is possible to determine whether the expansion of the Universe has decelerated since the explosion occurred. I was working as part of a team that was trying to do just that. In 1995 and 1996, team member Adam Riess collected our observations on the brightness of ten distant supernovae, and the and team leader Brian Schmidt compared their distances and their brightnesses. So, we decided we would have to submit a paper presenting our results, and we were sure that someone else would tell us what was wrong. But this didn’t happen. There were some people who didn’t believe us, but they were in the minority, and they couldn’t prove we were wrong. I’m not sure we were fully aware at the time what a big deal this discovery was. The fact that the expansion of the Universe is accelerating means that there must be some invisible “thing” in the Universe driving the expansion, causing the objects in it to flow apart faster than we would expect even for a universe without matter. The calculations tell us that this “thing” must be about three quarters of the energy content of the Universe. In a way, this was like discovering three quarters of the Universe that people had no idea existed. We were helped by another discovery made around the same time, related to the Cosmic Microwave Background (CMB). 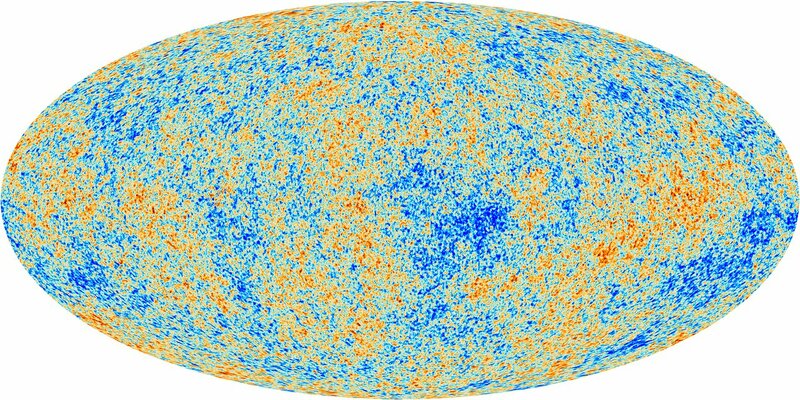 People were using the CMB to study the geometry of the Universe. The tiny temperature fluctuations in the CMB indicated that the geometry of spacetime is flat, which requires a specific amount of matter and energy. Einstein’s famous equation E=mc2 tells us that mass (matter) and energy are equivalent. But determinations of the amount of matter and energy known to exist in the Universe made up just 25% of the amount required by a flat Universe. In other words, 75% of the matter and energy was missing. This value matched perfectly with our discovery of the extra energy component that makes up three quarters of the matter/energy content of the Universe. It was the combination of the two discoveries at almost the same time that convinced most people. This new component is now called dark energy. 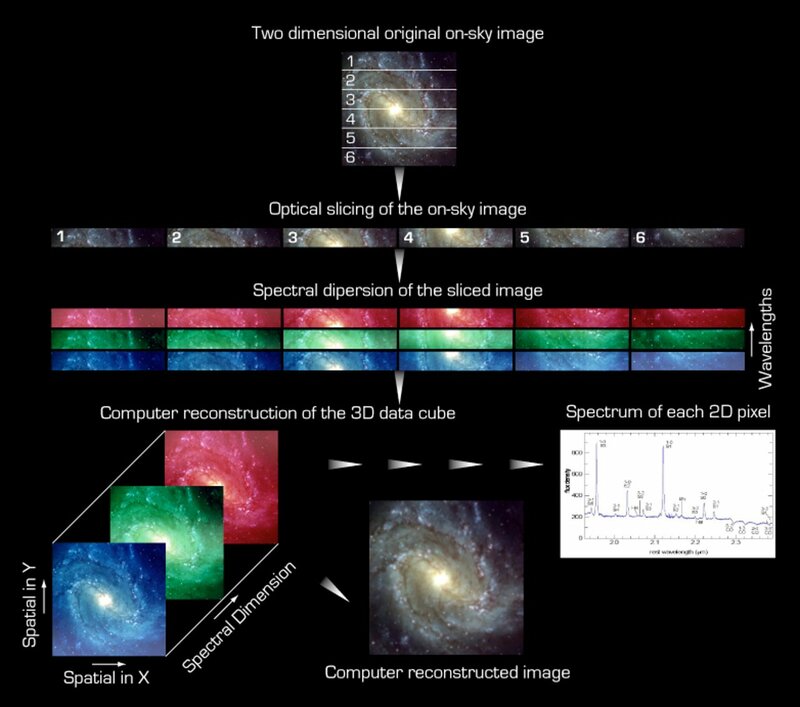 But more than twenty years later, we still have no idea what dark energy actually is! There is no physical explanation for it, but astronomers all over the world are working to find one. This discovery certainly affected my career. All of a sudden, I became one of the best-known observational cosmologists in Europe, which came with its pros and cons. As one of only two Europeans on the High-z Supernova Search Team, I got invited to many, many conferences here in Europe to present the result, and was asked to write major review papers on it. This took a lot of time out of my research. And then in 2011, Adam Riess and Brian Schmidt won the Nobel Prize in Physics for this research — they each won a quarter, and Saul Perlmutter of the Supernova Cosmology Project won the other half. We all went along for the Nobel Prize celebrations, which was an amazing experience. The High-z Supernova Search Team just after the Nobel Prize award ceremony. Bruno stands on the right and Jason Spyromilio on the left of the back row. But in the long run, I decided that I didn’t want to be part of large collaborations any more. The High-z Supernova Search Team wasn’t that big — around 25 people — but there were still so many teleconferences and meetings. I just felt tired of all that. I wanted to do things that I could be recognised for directly, rather than being a member of a team. I wanted to create something that people could recognise as coming from me. I’m still doing cosmology, though not the same type any more. That kind of research now requires large teams of hundreds of people. I’ve started to pick smaller problems again — things that I can do with students, to solve some of the smaller questions that we have about supernovae. It’s interesting to come from a big stage, from a place where the whole world pays attention to you, to go back to smaller problems that are not necessarily seen by everybody, and maybe not even seen as interesting by a lot of people. But that’s OK.
How it feels to be part of a team that makes a Nobel Prize-winning discovery. Just over seven years ago, the Nobel Prize in Physics was awarded “for the discovery of the accelerating expansion of the Universe”. ESO’s Very Large Telescope Programme Scientist, Bruno Leibundgut, was part of the team that won. In the first post of a two-part series about Bruno’s career, we ask him about his experience at the Nobel Prize celebrations. The second post will be released next Friday and will focus on the science behind the prize. Q. First of all, could you tell us about the amazing discovery that gained your team a Nobel Prize in Physics? Twenty years ago, it was known that the Universe is expanding, that other galaxies are moving away from us and from each other. But the big question at the time was: will the expansion continue forever or will it stop at some point in the future, causing the Universe to collapse? Our team — the High-z Supernova Search Team — was trying to answer this question when we were surprised to find that distant objects were further away than expected in a freely expanding Universe. The High-Z Supernova Search Team was an international cosmology collaboration which used Type Ia supernovae to chart the expansion of the universe. The team was formed in 1994 by Brian P. Schmidt, then a post-doctoral research associate at Harvard University, and Nicholas B. Suntzeff, a staff astronomer at the Cerro Tololo Inter-American Observatory (CTIO) in Chile. The original team first proposed for the research on September 29, 1994 in a proposal called A Pilot Project to Search for Distant Type Ia Supernova to the CTIO Inter-American Observatory. The original team as co-listed on the first observing proposal was: Nicholas Suntzeff (PI); Brian Schmidt (Co-I); (other Co-Is) R. Chris Smith, Robert Schommer, Mark M. Phillips, Mario Hamuy, Roberto Aviles, Jose Maza, Adam Riess, Robert Kirshner, Jason Spiromilio, and Bruno Leibundgut. 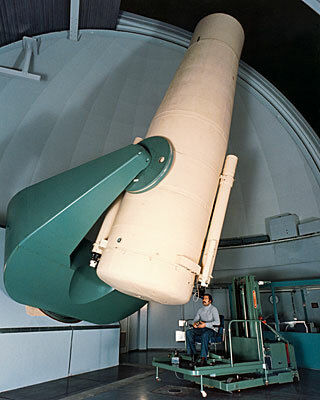 The original project was awarded four nights of telescope time on the CTIO Victor M. Blanco Telescope on the nights of February 25, 1995, and March 6, 24, and 29, 1995. The pilot project led to the discovery of supernova SN1995Y. In 1995, the HZT elected Brian P. Schmidt of the Mount Stromlo Observatory which is part of the Australian National University to manage the team. The team expanded to roughly 20 astronomers located in the United States, Europe, Australia, and Chile. They used the Victor M. Blanco telescope to discover Type Ia supernovae out to redshifts of z = 0.9. The discoveries were verified with spectra taken mostly from the telescopes of the Keck Observatory, and the European Southern Observatory. In a 1998 study led by Adam Riess, the High-Z Team became the first to publish evidence that the expansion of the Universe is accelerating (Riess et al. 1998, AJ, 116, 1009, submitted March 13, 1998, accepted May 1998). The team later spawned Project ESSENCE led by Christopher Stubbs of Harvard University and the Higher-Z Team led by Adam Riess of Johns Hopkins University and Space Telescope Science Institute. In 2011, Riess and Schmidt, along with Saul Perlmutter of the Supernova Cosmology Project, were awarded the Nobel Prize in Physics for this work. The Supernova Cosmology Project is one of two research teams that determined the likelihood of an accelerating universe and therefore a positive cosmological constant, using data from the redshift of Type Ia supernovae. The project is headed by Saul Perlmutter at Lawrence Berkeley National Laboratory, with members from Australia, Chile, France, Portugal, Spain, Sweden, the United Kingdom, and the United States. This discovery was named “Breakthrough of the Year for 1998” by Science Magazine and, along with the High-z Supernova Search Team, the project team won the 2007 Gruber Prize in Cosmology and the 2015 Breakthrough Prize in Fundamental Physics. In 2011, Perlmutter was awarded the Nobel Prize in Physics for this work, alongside Adam Riess and Brian P. Schmidt from the High-z team. It appeared that they were somehow being pushed away…we had found that the Universe was not only expanding — it was accelerating! This means that not only is there normal matter in the Universe, but also another component that we cannot see, that pushes space apart. This unknown entity is now called dark energy. Q. 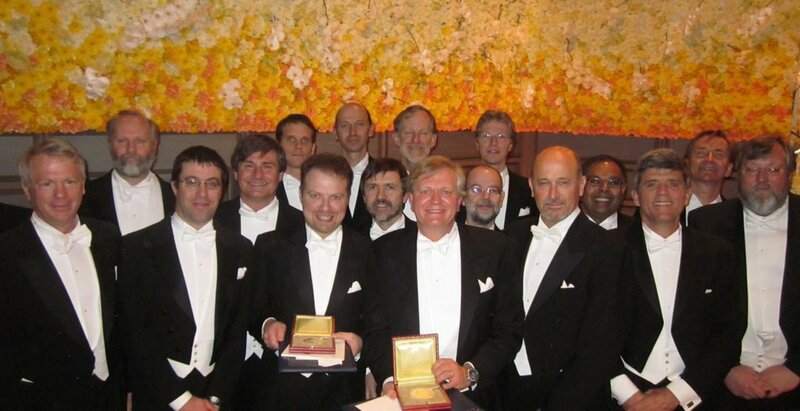 Half of the Nobel Prize went jointly to your team members Adam Riess and Brian Schmidt. Why were they the ones to receive the prize, and what was your role in the team? A. Brian Schmidt was the team leader; he formed the team in 1994. Adam Riess collected most of the data in 1995 and 1996, which included information about the brightness of ten distant supernovae. Brian asked me to join the team to bring some ESO observing time…it’s hard to define what exactly every team member’s contribution was, but I worked a lot with the data that we gathered using ESO telescopes. I was also part of the discussions about the implications of the data. Q. Can you tell us about your week in Stockholm, where the Nobel Prize was awarded? What did you do while you were there? What was the atmosphere like? A. It was an extremely full week! Aside from the award ceremony itself in Stockholm’s National Theatre, there was also a Nobel concert, attended by the Queen of Sweden, to which we were invited by the Nobel Prize winners. There were so many receptions and celebrations throughout the week, and it was even busier for the winners! The winners, Adam Riess and Brian Schmidt, were very kind. They used their prize money to invite all of the team members, plus their partners, to the ceremony for the whole week. We even got to stay in the same fancy hotel as they did: the Grand Hotel in Stockholm. Lots of our colleagues were there, including the other winning team, the Supernova Cosmology Project. The two teams had been in strong competition, because we were working towards the same result at the same time, sometimes even using the same instruments. That week, though, the competition fell away, because we were all winners and we had all contributed to this discovery. It was wonderful because we had the chance to discuss a lot, to talk about past experiences, things that occurred during the experiments. There was a lot of reminiscing and a lot of fun. Q. What was the most special moment for you during the celebrations? A. There were plenty of special moments, as the event is an incredible celebration of scientific research. One moment that stands out took place at the post-ceremony party. I bumped into Brian Schmidt, congratulated him and said: “Look, you’re a different person now, a certified genius!” He turned to me and said, “But Bruno, nothing will change between us.” And it’s true — now we meet less than once a year, but our relationship remains close. 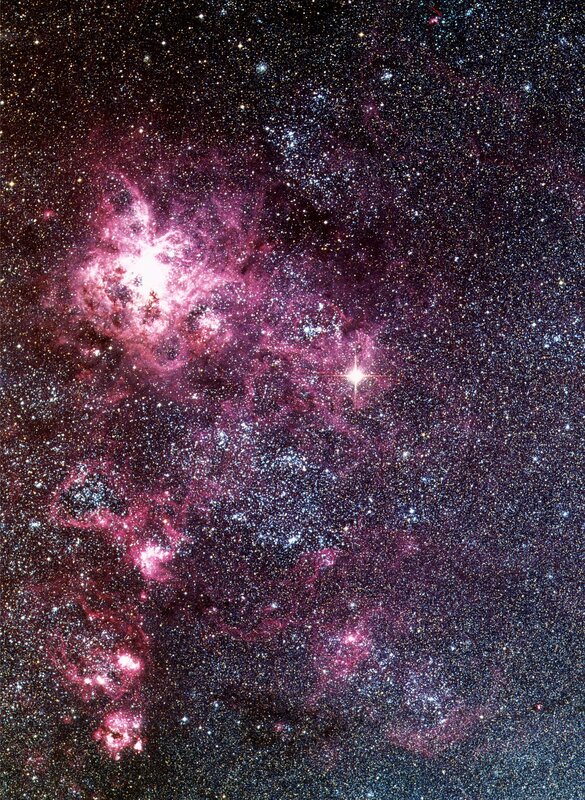 ESO 1-metre Schmidt Telescope image of the Tarantula Nebula in the Large Magellanic Cloud. Supernova 1987A is clearly visible as the very bright star slightly to the right of the centre. The ESO 1-metre Schmidt telescope at La Silla began its service life in 1971 using photographic plates to take wide-field images of the southern sky. Q. What current questions in astronomy do you wish you knew the answers to? A. Oh, there are so, so many! It would be wonderful to understand more about dark energy. What is it? Where does it come from? What’s the physical basis for it? We’re pretty much searching in the dark — literally! We haven’t really made progress in this field over the last ten years but we hope that with the Extremely Large Telescope [below], we will be able to shed light on this mystery. Q. What do you love most about astronomy? A. I love the detective work: the fact that you can work away at a problem for years, debate it with friends, look at it from different angles, and then suddenly you have a breakthrough and see something you’ve never seen before. I also love the ingenuity: the way that we have to devise our experiments without being able to touch our subjects. We can’t modify the sky or the stars: we just have to take them as they are, and employ our physical intuition to understand what we see. One of the things I have focused on over the course of my career is Supernova 1987A, which I had the chance to see in the sky with my own eyes. Every time we look at it with the Very Large Telescope or the Hubble Space Telescope, we find something else unexpected — it’s amazing to be continually mesmerised by what this single object is doing. It’s beautiful because it’s an object that changes on the same timescale as a human lifetime, and it exploded at the beginning of my career. I look forward to seeing what else we can learn about it. 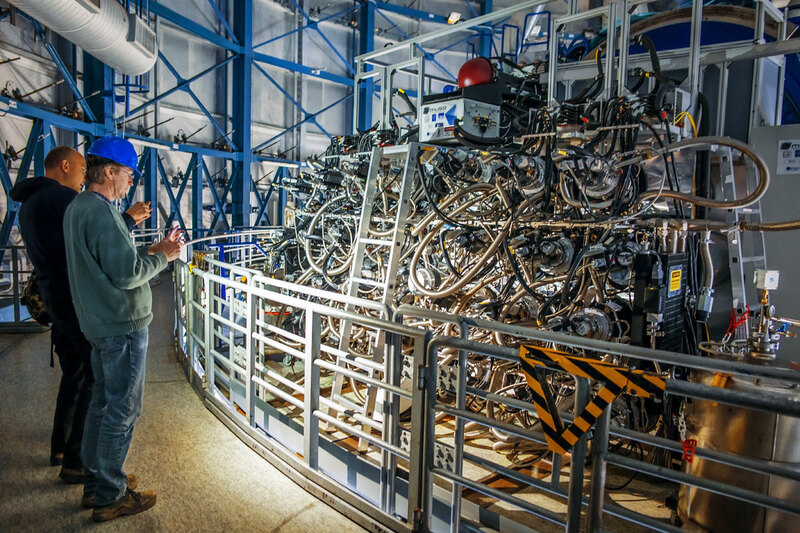 After a Physics degree and a PhD in Astronomy, Swiss astronomer Bruno Leibundgut found himself in the United States for two postdoctoral positions. Returning to Europe in 1993, Bruno started working at ESO in a group that defined how the VLT would be operated. 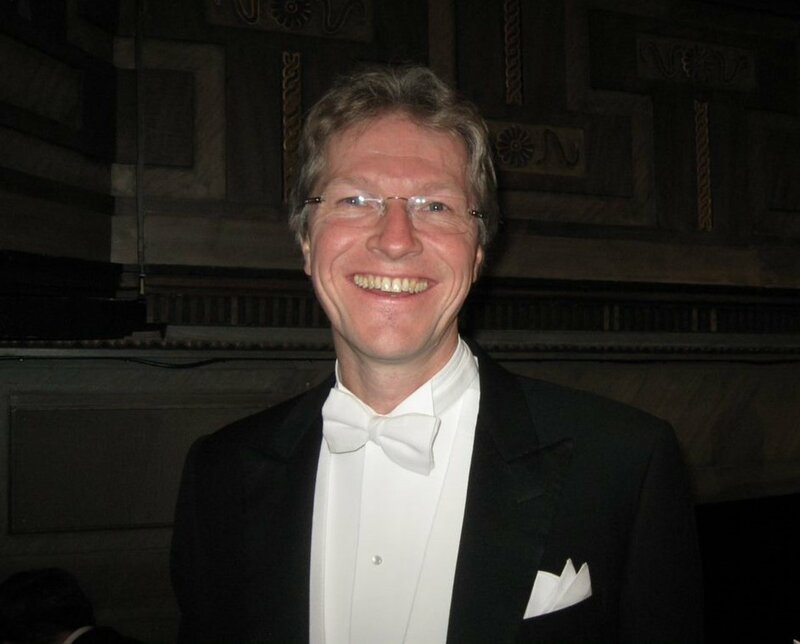 After a couple of years he became Deputy VLT Programme Scientist, then in 1999 moved on to building up the data quality control group, connected to the archive. Bruno was Head of Office for Science for eight years, then Director for Science for six years, before closing the circle by becoming VLT Programme Scientist four years ago. Never underestimate the value of black tape. After years of planning, in 2014 ESO’s Very Large Telescope welcomed the planet-hunting SPHERE instrument. 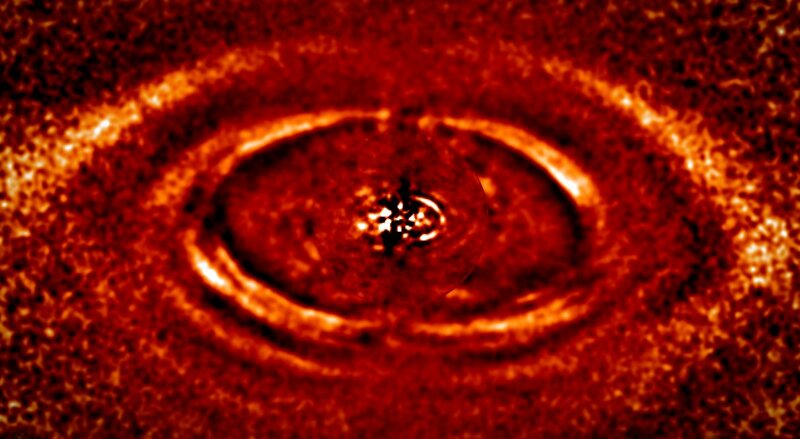 Ever since, SPHERE has enabled scientists to carry out ground-breaking astronomical research, including investigating how planetary systems are formed. But SPHERE experienced some teething problems from the very beginning. When experiencing little or no wind, the images it produced were of a much poorer quality than when the wind blew with more force. At first, this paradox baffled engineers, but they quickly donned their detective hats to figure out what exactly was going on. 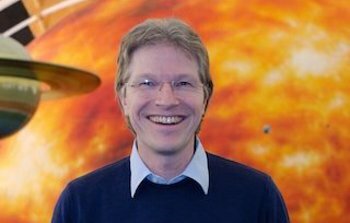 ESO’s Markus Kasper tells us how he worked as part of a team of experts to understand and solve this problem. A. My official title is “Adaptive Optics Scientist”, although “telescope-detective” sounds good as well! In reality, I sit at the meeting point between adaptive optics, instrumentation and astronomy. Adaptive optics is a relatively new astronomical technique where deformable mirrors on telescopes correct in real-time for the distortion of light caused by the turbulence in Earth’s atmosphere. My role mostly involves work on instruments, especially for the Very Large Telescope (VLT), but I also dabble in astronomy, in particular in the fields of exoplanets and star formation. A demonstration of how the Low Wind Effect (LWE) affects astronomical images. Credit: Milli et al. One of the four spider arms with the top beam covered with the new tape and the bottom beam still uncovered. Credit: Milli et al. Although they look like fuzzy patches of light, distant galaxies are actually made up of billions of stars and other astronomical intricacies. 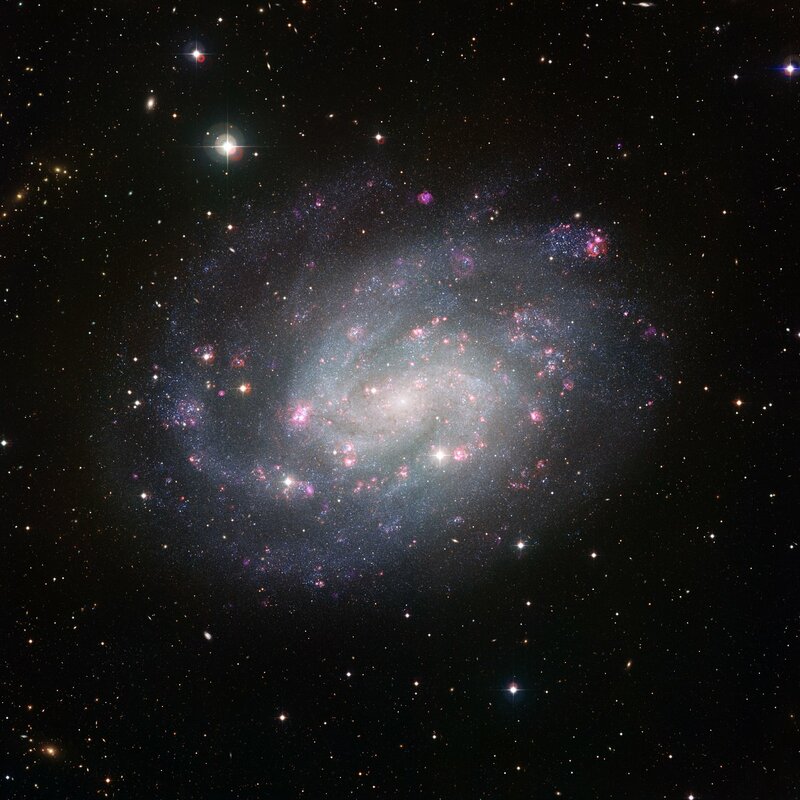 Telescopes are rarely powerful enough to study the individual stars in galaxies except for those closest to the Milky Way, but a team of scientists has now used the MUSE instrument on ESO’s Very Large Telescope to resolve the stars in the spiral galaxy NGC 300. By telling the story of how astronomy has reached this point, team member Martin M. Roth from the Leibniz Institute for Astrophysics Potsdam helps us understand why this result is so exciting. This picture of the spectacular southern spiral galaxy NGC 300 was taken using the Wide Field Imager (WFI) at ESO’s La Silla Observatory in Chile. It was assembled from many individual images through a large set of different filters over many observing nights, spanning several years. The main purpose of this extensive observational campaign was to get an unusually thorough census of the stars in the galaxy, counting both the number and varieties of stars and marking regions, or even individual stars, that warrant deeper and more focussed investigation. But such a rich data collection will also have many other uses for years to come. The images were mostly taken through filters that transmit red, green or blue light. These were supplemented by images through special filters that allow through only the light from ionised hydrogen or oxygen gas and highlight the glowing clouds in the galaxy’s spiral arms. The total exposure time amounted to around 50 hours.